One of the year’s more interesting compendiums is recounting the top ten articles and reviews you enjoyed reading throughout the year. We’ll also look at their placement in the site’s history overall, as well as their inclusion in year’s past. 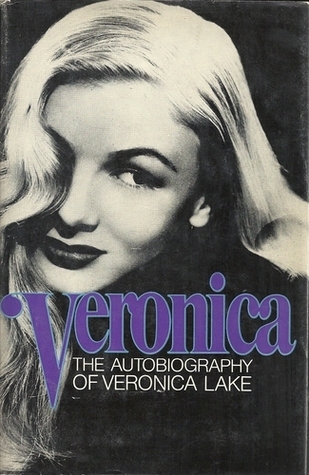 Veronica is the unofficial face of Journeys in Classic Film so it’s always a pleasure seeing readers discover her. This received a whopping 920 hits this year, 2,389 over the life of the site to become the third highest read post. A 2015 exclusive, my interview with Eddie Muller was a pretty big “get” for me, personally. Muller took time to promote TCM’s “Summer of Darkness” month over the summer and was just a gem! This was a risk for me – full disclosure, I just up and emailed him out of the blue – and I’m so thankful that Eddie took time out of his busy day to chat. I haven’t rewatched this Natalie Wood/Robert Redford drama in full since my original review, although it has been on various movie channels over the last few months. Not only was this the number eight most read review, it’s in the top 15 of all-time reviews with 1,492 hits. I can’t say my feelings on this film have changed. 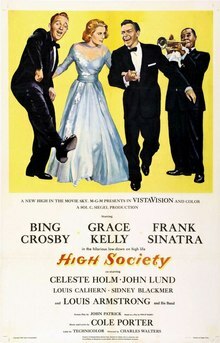 High Society also holds the record as the 11th most read review at 1,836 views. The fourth highest grossing review of all time, with 2,231 views, is the first entry of my long-running Biopic Theater series to make the list. This one remains one of the better made-for-TV films I’ve seen though far from the best. This was the first in my newly coined Top Twenty series and I’m hoping to conjure up some brilliant future topics in this series. Everyone loves “best of lists” – this one notwithstanding – and we all have our favorites that a writer might or might not have included. Be sure to bring a fan with you if you’re giving these a read, though, as they’re hot, hot, hot! The second interview on this list is a fair bit older, from 2013, and it’s surprising to see so high. Don’t get me wrong, my interview with Dena Kaye was such fun, but after two years of seeing my Jane Withers interview on this list I figured we’d see her again. Either way, my interview with Kaye fostered an interest in her dad’s work that continues to this day! This is also the eighth highest read review at 1,874. The second most read review in site history, with an astounding 4,397 hits, Dean Jensen’s book remains one of my all-time favorites. The sad story of the Hilton sisters has been recounted in other books and documentaries, but Jensen’s work is the gold standard. In this year alone this Lifetime biopic has jumped up to being the fifth most read review in the site’s history. This remains one of the best biopics I’ve seen, and easily Lifetime’s most opulent film. Kelly Garner is as close to a perfect Marilyn as we’ll ever get and if you haven’t seen it already, do so! Number one for another year is my profile on Moon is Blue (1953) actress Maggie McNamara. This is also the highest read article on my site with 4,535 views. Do you have a favorite article or review I wrote this year? Leave it in the comments. Wow I missed some of these, they look very intersting! Someone must like them to rack up such big numbers, haha. Have a great New Year, Virginie!